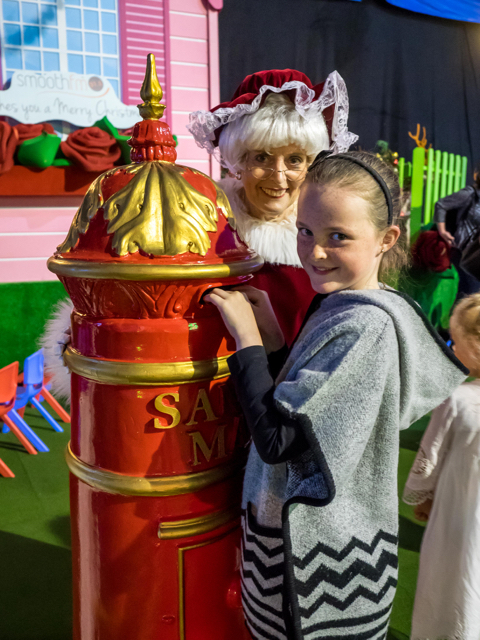 After four successful years, Santa’s Magical Kingdom has returned to Melbourne to bring the magic of Christmas to life with a Christmas wonderland of activities that will capture the imagination of both children and adults. Bringing all the wonder and joy of a traditional festive season, Santa’s Magical Kingdom is certainly an event that cannot be missed. 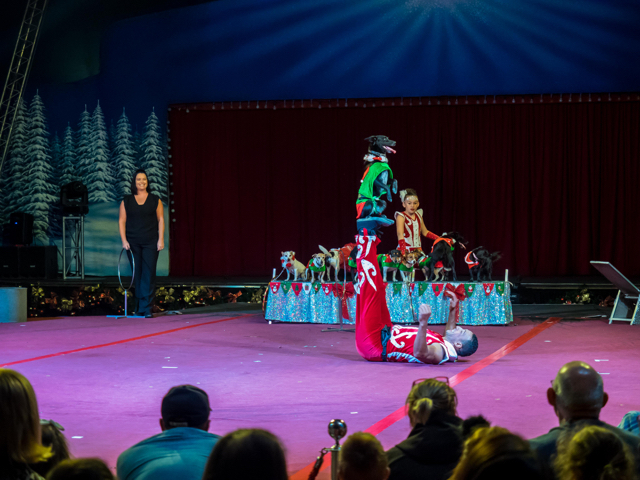 Visited by thousands of people from all around Australia, it’s easy to see why Santa’s Magical Kingdom has become a Christmas tradition for many families. Perfect for the whole family, I visited last Friday night with my (soon-to-be) nine year old niece Ruby who helped me compile a list of our highlights so that you can get the most out of your visit. 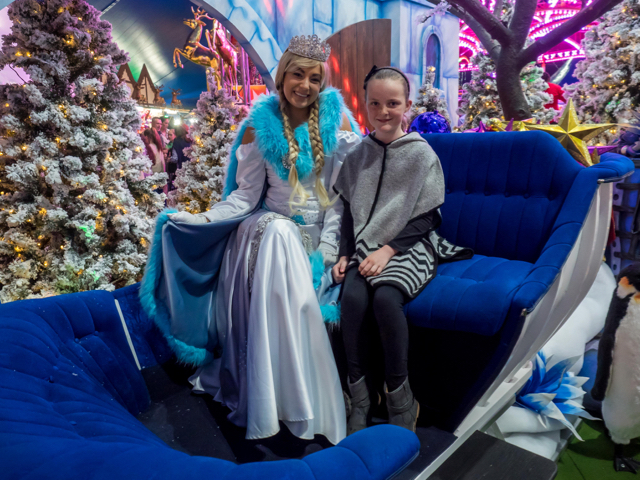 Positioned directly opposite the front entrance, take a stroll through the beautifully decorated Snowland to meet the Snow Queen from Hans Christian Anderson’s classic fairy tale. Best of all, you can catch the snowflakes (foamy bubbles) fluttering down around you. 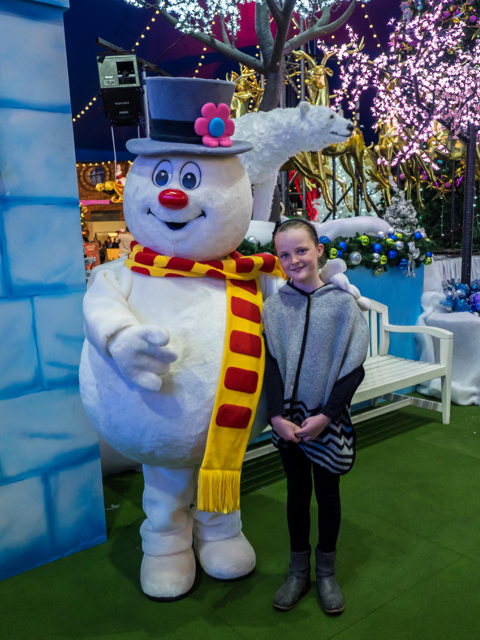 Have your photo taken with the Snow Queen, Frosty the Snowman or one of the handsome reindeer. Nothing says Christmas than the smell of gingerbread! Pop into Gingerbread Land (complete with a large gingerbread house and gingerbread making machinery!) to decorate your own gingerbread man. Miss Ruby had lots of fun dressing up her gingerbread man with icing, mini marshmallows and M&Ms – she had lots of fun eating him too! Look out for the Christmas trees decorated with gingerbread men and candy canes, way too cute! Make your own Christmas tree ornaments in the Christmas Craft Village (located right next door to Gingerbread Land). Using the supplied foam kit, little ones will enjoy piecing all the different elements together to create three fantastic Christmas tree ornaments. These are a great Christmas activity and once complete the ornaments make an ideal Christmas gift for a family member or friend. 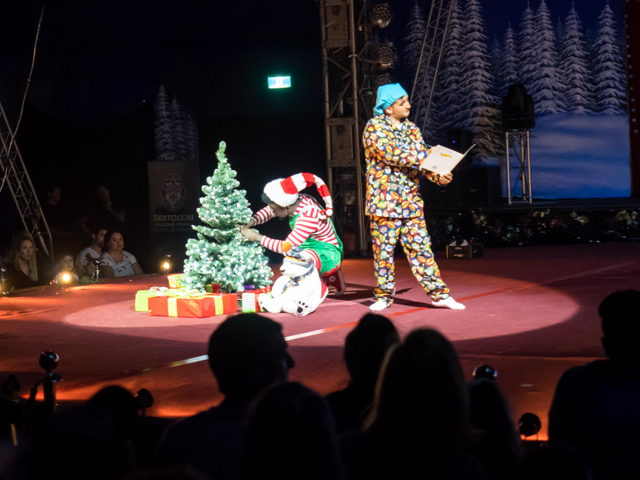 Roll up, roll up and prepare to be amazed at the 35 minute Silvers Circus Christmas Show – included in your ticket – which begins approximately one hour into your allotted session time. 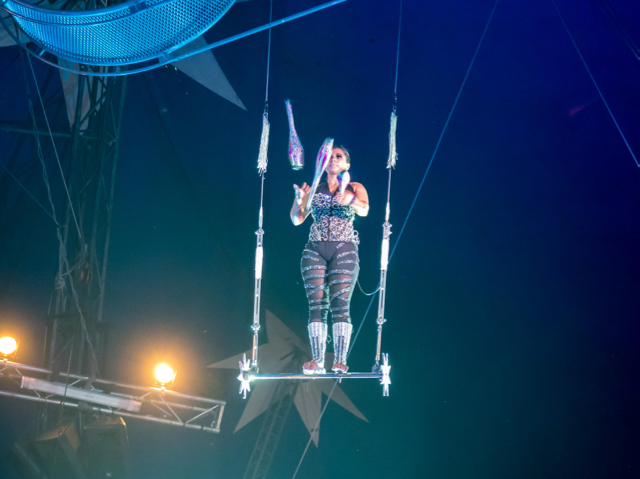 This energy packed show complete with juggling acts, acrobatics and dare devil stunts as well as adorable puppy dogs (Ruby’s favourite part) will leave you on the edge of your seat, or shrieking with fear (I’m such a scaredy cat!). 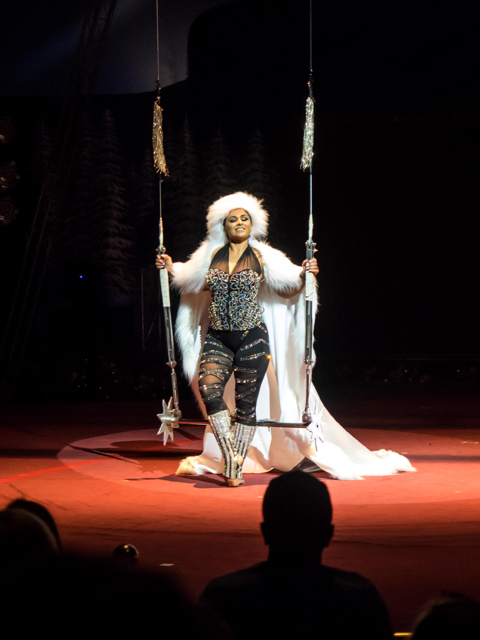 Buckets of popcorn are sold within the arena and with a good balance of butter and salt, it was much enjoyed throughout the performance! 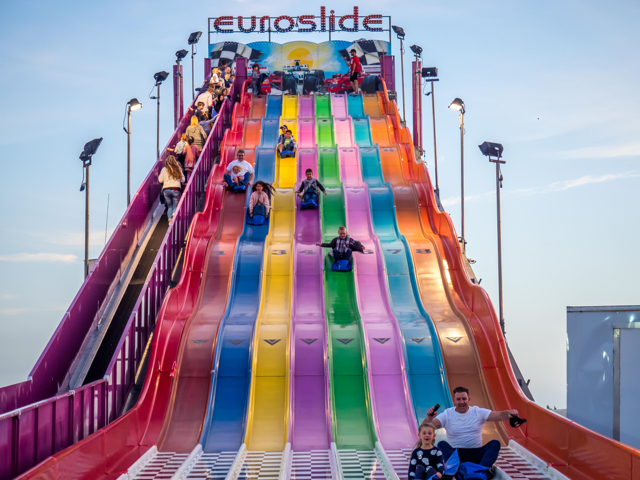 With a fantastic selection of rides that have been carefully chosen to ensure minimal queuing and consistent traffic flow, there is sure to be a ride that will entertain all ages. 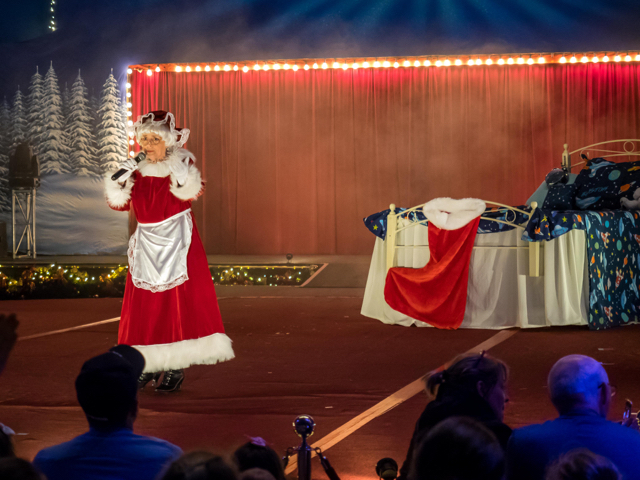 Santa's Magical Sleigh Ride appeared to be a big hit with steady lines all night, as did the Super Slide. The 48 metre long slide (located outside, to the rear of the main tent) is the biggest slide in the southern hemisphere. With eight lanes of gravity fun as you hurtle down the bumpy slide, this is bound to provide lots of thrills and spills. It was far too high for Miss Ruby (and Aunty Kate!) so we opted to a ride on the Ferris Wheel instead which provided us with beautiful views across Caulfield Racecourse. Write a letter to Santa, meet Mrs Claus in Mrs Claus' Land and have your photo taken with Santa himself on the day too! 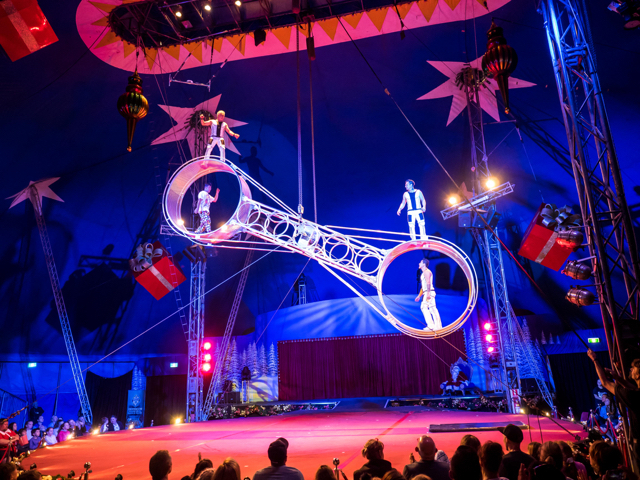 For more ideas on what to do with the kids this Christmas or these coming holidays head to our Melbourne Christmas list or to our blog.